So I have been told I need to write Coaches Corner this week, could be interesting… Given I am not an official TA Coach and base my own training on what fits with my family commitments, desire on the day and what an old friend (who happens to be a two times Kona competitor) told me when I first started out two seasons ago “racing is the best form of training”. I will leave any pearls of wisdom in regard to triathlon planning and training to the qualified coaches and instead offer an insight into child wrangling. 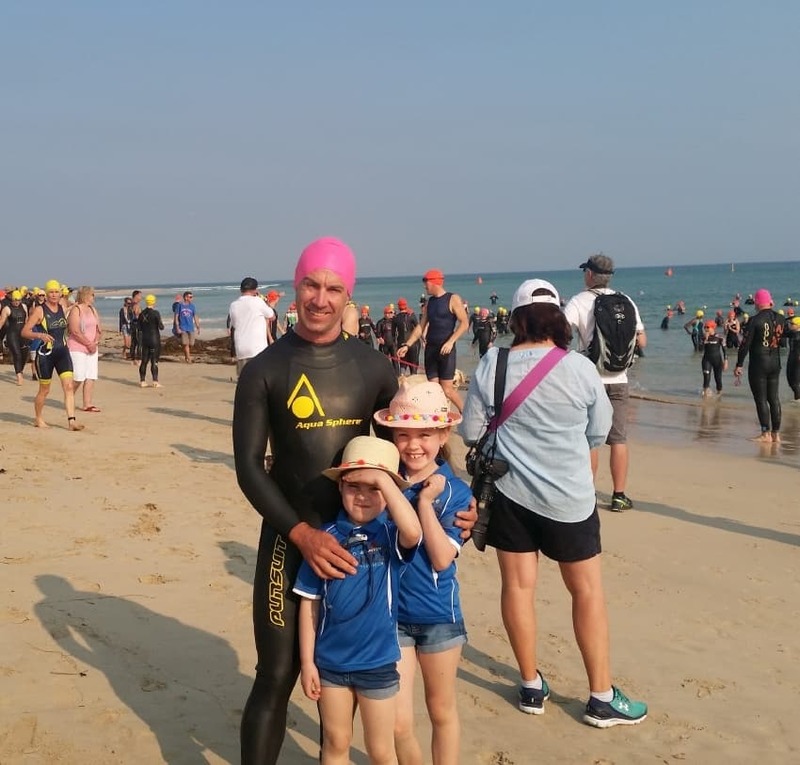 As the “Pups” coach, our club’s junior triathlon program, I have developed a program based on fundamental movement skills, my experience a primary school Phys-Ed teacher and years of club and school squad swim training. So, what pearls of wisdom can I offer you? Well how about managing groups of children, you know for that next kids party or coaching the netball team? Managing groups of kids is made easier by keeping some simple rules in mind. You need to be the loudest, however this doesn’t mean yelling and screaming. It means gaining attention. Teachers use all kinds of means of gaining this from hand signals, whistles, bells and voice. Personally, I favour voice as it is always with me. The key point is having their full attention and being loud enough for all to hear. Kids have no spatial boundaries which as adults we accept as common sense. If you ask them to move away from each other and make some space because they are going to do some stretching, dancing or whatever, there will always be those who move all the way to the other side of the natural boundaries set by the court, oval, room or pool you are within. To eliminate this and make your own life easier, set a boundary before giving the go ahead “I want you to come and sit on this mat”, “I want you to find some space away from each other inside these cones”, “we are going to play the game inside the centre third marked by these four lines”. If you are not the most exciting option you have no chance. Don’t try and give instruction while a lady is chasing a group of puppies across the oval, a plane is flying overhead, a rainbow suddenly appears, or they have something in their hands. All those things are more exciting than you, in fact I have found in a child’s mind pretty much most things are more exciting than listening to someone give an instruction. When it comes to equipment, always hand it out after the instruction, if they already have it from a previous activity have them place it on the ground in front of them until after instructions are given. This one is simple. Basically, it is easier for you if you redirect within a game or activity rather than stopping and starting. Just reiterate the point that needs attention during a game and have the children change mid task. Kids hate stop – start and will lose interest if you interrupt the flow of an activity too often. It is important to make sure you are the loudest in this case. Bear in mind if there is major issues stopping the activity will be necessary. Make instructions clear and to the child’s level (black and white, no ambiguity). Don’t go on and on, remember you are only going to be the most exciting point of distraction for a short period before an ant or fart takes that away from you so make the most of it. This may be the last point, however, it is the most important. Kids are learners, as learners we need feedback and this should be given in a positive form, be genuine and regular. Make change by pointing out something they are doing well first “great work keeping you head up Bill but try not to swing your arms across your body”. Do this and children will seek it out and absorb the information. Don’t do it and they will lose interest. Seems simple and makes sense, right? Start being aware of this and you will notice those who do it well and those who don’t. It is about confidence and control. You need to be your best in order for kids to be theirs. Have fun out there, Mike. Overtraining – could we actually call it “under-recovering”? For those of you training towards Busselton in December, your training will be approaching the hardest stages over the next few weeks. This means LONG rides, brick runs, open water swims, and usually a lot more intensity. For each athlete, the risk of overuse injuries is often higher at this stage of the season, and we commonly blame “overtraining”. But is this a misleading description? 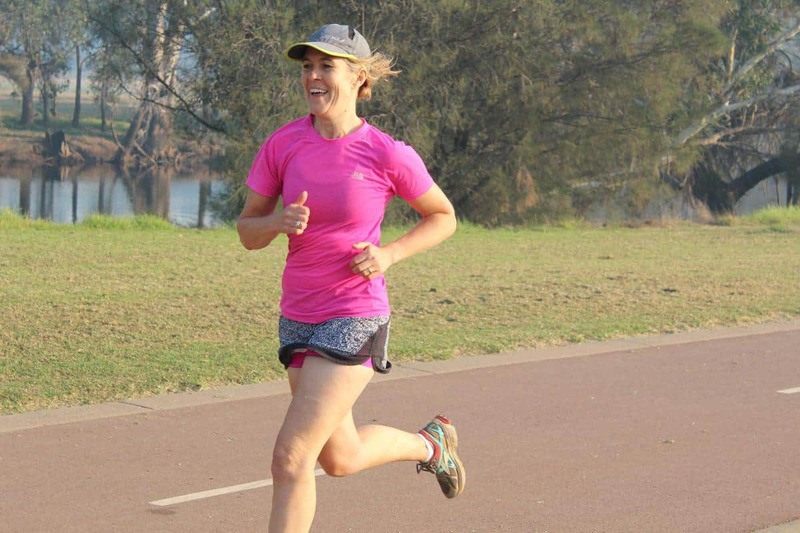 Assuming you are following the plan your coach gave you, then you have been increasing both your intensity and distance consistently and in small increments to allow your body to gradually prepare for the rigours of race day. So either your coach has stuffed up, or you are actually “just-enough-training”… Certainly compared to an elite athlete putting in 30+ hours a week of training, you aren’t. The unknown variable in the training equation for every athlete is recovery. I can’t stress how important this is, especially for triathlon, with its high training load. 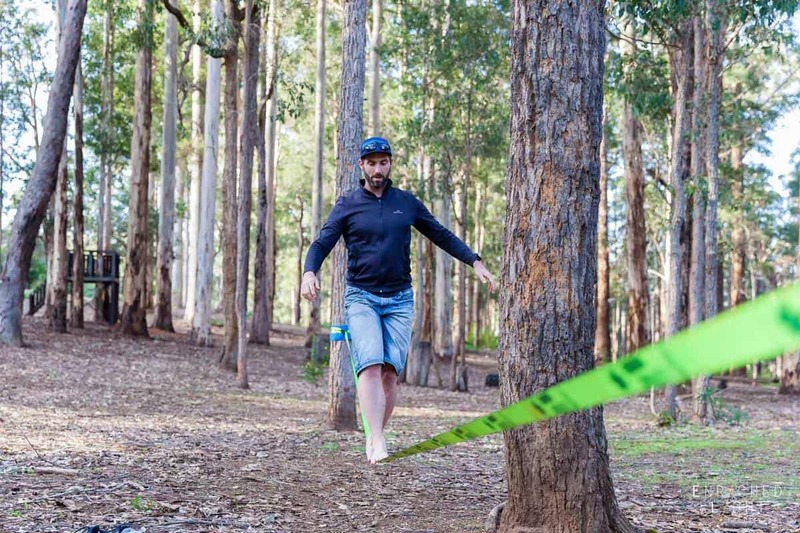 You are forcing your body to adapt to three sports at once, remember! A lot of athletes give me a funny look when I ask them about this stuff, but it can be the thing that makes of breaks your race, and certainly the thing that may mean we see a lot more of each other if it isn’t done well! What can we do to enhance recovery? SLEEP – the #1. Get enough (you need more than someone who just sits at a desk and goes for a 30min walk each day), and make sure it is quality. Dark, cool bedroom. Stop reading triathlete.com until 11pm and put the bloody iPad away. 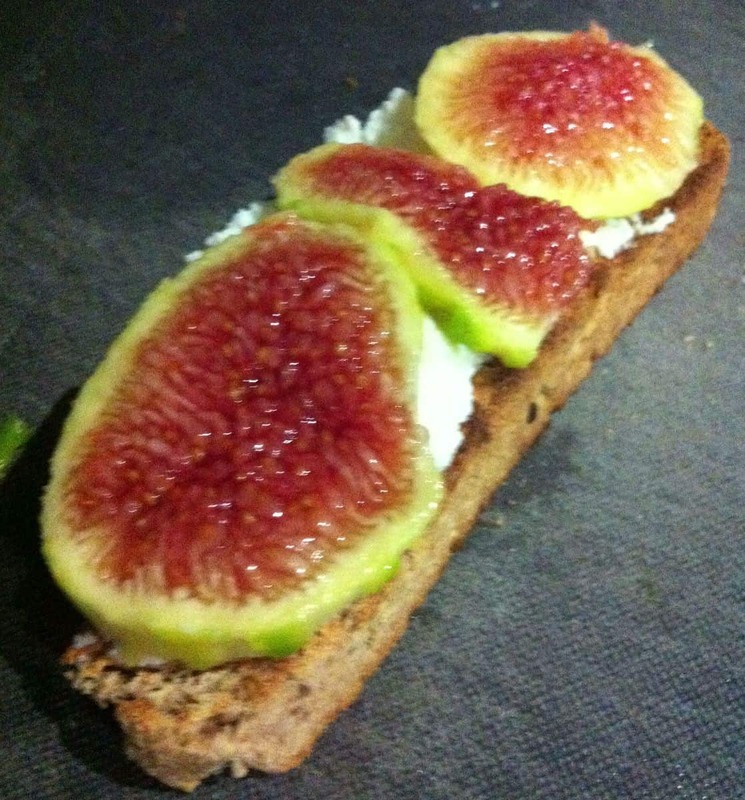 And if you are training at 5.30am, you just have to go to bed early…..
Lots of fruit, veg and protein. And the big one, get enough calories. This may mean eating some junk food as well, especially after hard or long workouts. Just get the quality stuff too. (Additional – 6 weeks out from race day isn’t a good time to start the latest Instagram diet or keto-plan. Keep it simple and wholesome). Self-care. Massage/roller/trigger ball/stretch/hydrotherapy/etc – basically show your body some love. Never to the point of pain – a mild discomfort (3/10 on the pain scale) is the most you want. Take 5-10mins a day to meditate/deep breathe/read a book/lie down. The more we can stimulate the “Rest and Digest” system, the better your body will repair itself. NOT ENOUGH SLEEP. Worth mentioning twice! Stress – work, family and general life stress can have a huge impact on your recovery, by keeping your body in “Flight or Fight” mode, and therefore dampening the rest and digest bit. Try to limit this as much as you can, and if you can’t (eg work), allow for more of the above points. Not going easy enough in easy sessions. Yes, 130bpm heart rate still counts as training. Learn to back off when you need to. Previous injuries/illness – these may mean that the area (eg an arthritic knee) or your immune system as a whole may need more time. Age – sorry, but this is a big one. A 45year old athlete needs more time between key sessions than a 25year old athlete. Your coach will allow for this, but its one reason why comparing training to your teammates can be a bad idea, especially if you are competitive. Maximise the first two (notice I said quality training, not MORE training) and limit the last one, and you’ll avoid coming to see me, and have a great race day. Neil is a Physiotherapist and Triathlon Coach, as well as a multiple Ironman finisher. He specialises in blending Physio treatment with coaching advice to deliver optimal outcomes for his clients, and through his competitive background he understands the importance of the “big picture” in managing injuries effectively. He consults from Fieldwork Health in Inglewood and the Perth CBD, and is always happy to answer questions via email. Athletes often ask how to use heart rates in training. I would like to write a simple article however I believe that heart rate zones are not always the best option and should be used in conjunction with other zone indicators. Saying that, heart rates zones are not a bad guide to help you determine your pace for a training session designed to be in a certain “zone” for running and cycling. By maintaining your heart rate within certain parameters, you can target session goals and be reasonably confident you are on the mark. For example an aerobic long run is normally at zone 2 or below. 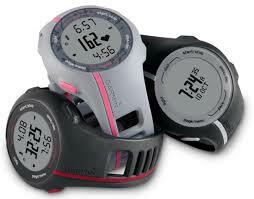 Maintaining your heart rate below the zone 2 limit indicates that you have met your goal for an aerobic session. There are different methods for setting zones. Some people prefer the method of using % of maximum heart rate. Jack Daniels, running guru, suggests this as a method in his book The Running Formula. Alternatively, Joe Friel’s method involves testing to obtain the lactate threshold heart rate then setting your heart rate zones based on percentage of HR lactate threshold. Lactate threshold is the tipping point, where your body can still produce enough oxygen to use the lactate in your system, lactate being an alternative energy source for your body. At a higher heart rate you can no longer obtain enough oxygen to keep up with lactate production and in order to clear lactate from your body, you need to slow down or stop. The limitation I find with using the heart rate zone method is that it can affect the quality of some training sessions. I’ll explain. If you are running 4-5 threshold intervals at HR zone 4, then it is going to take some time to get your heart rate into the zone. You are likely to run extra hard in the first couple of intervals. The issue with this is that your first couple of intervals are going to be extra fast but the last 3 intervals are likely to suffer because you have spent all your energy going too hard, too early. Quality, therefore decreases as the session goes on. My preferred approach is to use pace zones in conjunction with heart rate in running and rate of perceived effort (RPE) in conjunction with heart rate with cycling. Pace zones can also be calculated using the Joe Friel method, where FTP is the functional threshold pace. You can read more about the Joe Friel Method on the training peaks site. More importantly, come and talk to one of your friendly club coaches! In the morning I start out with good intentions of eating well. But by 3pm I lose all self control and the fundraising chocolates sing to me like a siren luring a desperate sailor to certain death (by chocolate). Here, some of our club athletes share their best tips for beating the 3pm snack attack. Yanti – Keep some nuts handy throughout the day and nibble. They’ll help keep your blood sugar stable and are very satisfying because of the healthy fat and protein content and the nice crunch. 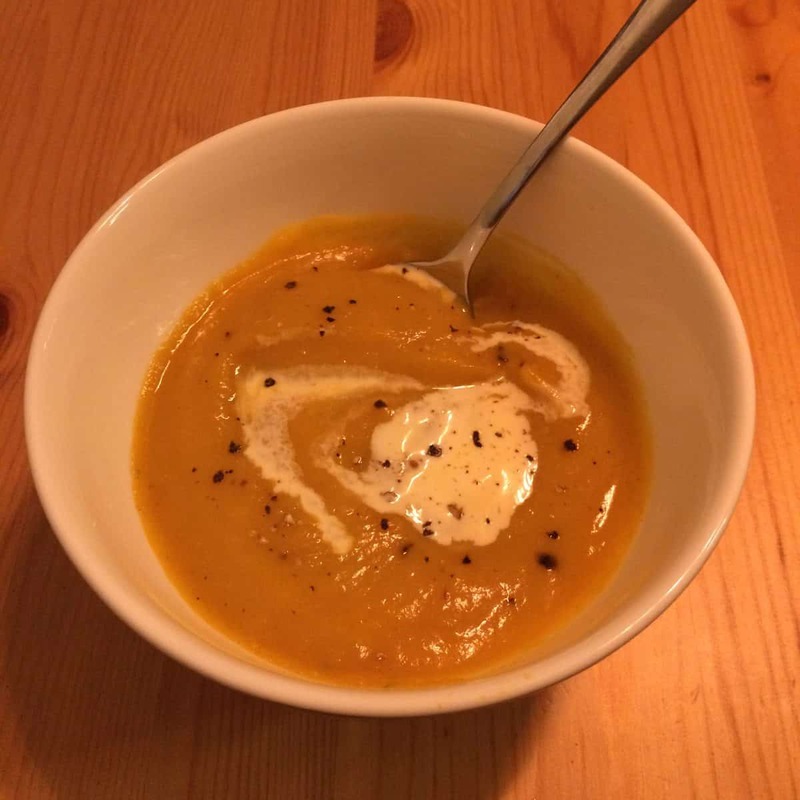 Peta – Eat regularly throughout the day. Don’t try and starve yourself, you will just end up binge eating. Try and stay away from high sugar food options, they usually just make your hungrier. My go to 3pm snack is potato with tomato and zucchini topped with cottage cheese. Slim – Hickory smoked almonds. Eight to 12 does the trick and they taste like bacon. Winning! Mike – Low fat yoghurt with a heap of frozen blueberries and a small spoon of maple syrup. Mix until it turns to frozen yoghurt and eat. Renee – Cottage cheese, grated green apples and cinnamon, with a little honey for sweetness. David Bryant’s banana bread with ricotta and cinnamon. An icy pole hone made with half juice and half water. Nikky – Vegetable sticks with homemade hummus. This month we hear from cycling expert Mark Tabone of Midland Cycles about what he thinks will help athletes get ready for race season. 1. Be race ready. What I mean by that is clean your bike, lube your chain, check your brakes and check your tyres for wear and holes. 2. This could be the most important thing I write today – saddle selection. No, you won’t get used to it. No, numbness is not a good thing. We have tools to measure sit bones which gives a great indicator as to saddle width. Having the correct size saddle will give you flexibility, pelvic rotation and support where it is required. You can even test different saddles to see how they work for you. 3. Now this could be the most controversial thing I write today – mental strength. What I’m referring to is knowing that you are able to do the distance. In terms of cycling, I would suggest that if your event has a cycle leg of 40km then train on the bike for 50km. This is something I have personally always done. My body knows that it is capable of 50km so when you’re racing harder and fatigue starts to set in, your mind is capable of pushing through. 4. Cleat placement is a major part of a bike fit. Do you get “Hot Spot” when you ride? Do you get numb feet? Both of these things can be cured by cleat placement. Not only can it solve “comfort” issues, but it can increase power and eliminate dead spot (when your cranks are at the top of pedal stroke). 5. Nutrition. I’m not a qualified nutritionist but it is important to re-fuel after a racing and training too. As a athlete you have approximately 15 – 20 minutes to get fuel back into your body and this will benefit your physical recovery. 6. The last point i would like to share is personal to me – why do we ride bikes or do triathlon? For me its all about fun. Yes, I push myself and I do hurt at the time but all in the name of fun. The second and more serious side for me is mental health. As a sufferer, I find it is the best way to unwind, forget what a bad day I have had and it simply clears the mind. Mark is the proprietor of Midland Cycles and has been racing anything with two wheels since he was a young tacker. An original BMX bandit, he raced BMX into his thirties before turning to road and mountain bike racing at both a state and national level. These days he rides mainly for fun and fitness in between running his business and being a doting dad. 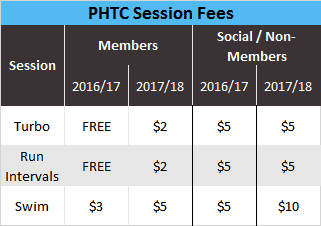 As you all know, PHTC prides itself on being a club run for and by its members. We always have and, at least for as long as I am leading, always will strive to be as accessible as we possibly can. Our goal is to remove as many barriers as we can to participating and enjoying triathlon and other multi-sports whether they be cultural, social, emotional or financial. Looking around at the variety of people we get at our sessions I hope you’ll agree that so far we seem to be doing a good job. One of the ways that we have achieved this is by trying to operate exclusively using volunteers. We believe that this works for us in a number of ways: firstly and most obviously it keeps our costs down which means not only lower fees for our members but also that we don’t need to constantly worry about fundraising; secondly it instils a real community feel in the club, it encourages everyone to help out and be an active participant rather than a passive receiver; lastly but certainly not least it means that the people who choose to be involved do it because they love it and I think we all can agree that one of the keys to success at anything is passion. So by now I guess you are asking yourself “where is he going with this?” Well following this ethos all of our coaches work on a volunteer basis. There is not a single hour of session coaching that this club has paid for since December 2015 and it’s our intention to continue this. This is great for our members but our coaches have costs involved in volunteering their time which I think you would agree is not ideal. It’s one thing to give up your time but to be expected to pay for the privilege is perhaps a bit much. So starting the first of July we will be doing our best to ensure that all coaches who regularly contribute to the club are compensated for these costs that they incur, primarily things like the cost of their ongoing coaching accreditation with Triathlon Australia. To encourage more people to become coaches we also want to offset the financial cost of their training so that it isn’t a burden that negatively influences their decision. For coaches that are already accredited with TA the club will reimburse their membership and accreditation after they have volunteered 20 hours of coaching time to the club. For coaches that have taken the more expensive option of a professional license that allows the club to host non-members the club will pay not only the initial payment after 20 hours but also an additional payment covering their professional license when they have volunteered a further 30 hours of coaching. Newly trained coaches will get 50% of their course cost reimbursed on gaining their accreditation and the remainder after an extra 15 hours. There is no “per session” payment to coaches, only these staged reimbursements. Of course to do this and remain sustainable the club must find a way to pay for these costs and rather than raise the membership price we favour a user pays model. To this end every session (except weekend rides) will increase in cost by $2 for members. Social or non-members will pay $5 for run or turbo sessions and $10 for swim sessions in recognition of the fact that we must pay for professional coaches to accommodate them within our insurance. 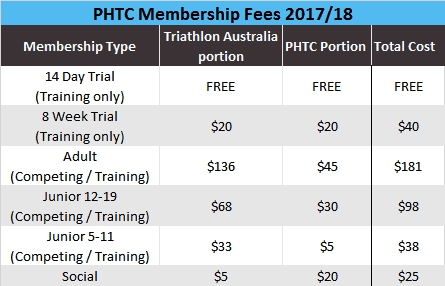 Our club membership fees will remain as they are (there is a slight increase in the Triathlon Australia portion) and we will still have the lowest cost training in town. The new fee structure for the 2017/18 season is set out in the tables below, we hope you understand the need for these changes and as always appreciate any feedback (positive or negative) that you have for us. 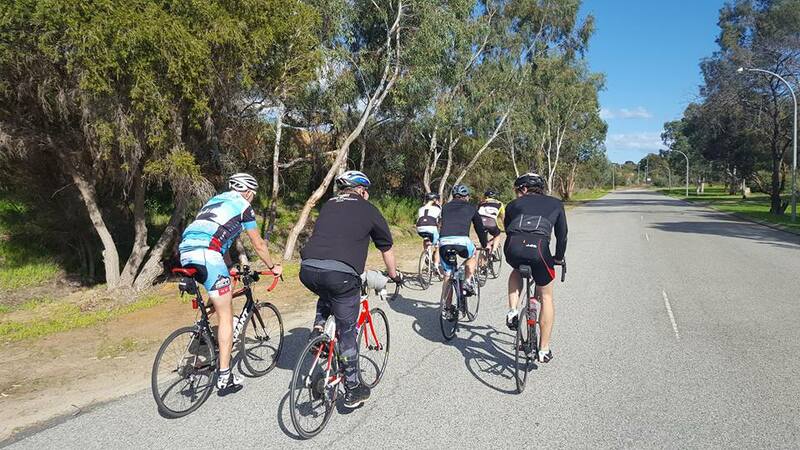 You can do so directly to the coach at training, by email to contact@perthhillstri.org.au or through the anonymous form on the bottom of our committee page. We’re looking forward to building on the success of the last twelve months with you all in the new season. Combine the marinade ingredients and marinate the meat for 30minutes. Prepare the salad in a large bowl. Heat wok to hot and fry meat quickly (remove meat from marinade and reserve marinade). Put meat aside to rest and reduce the marinade by a quarter. Add the noodles, meat and sauce to the salad bowl, toss and serve immediately. You could make an even lighter version using well drained vermicelli rice noodles but the crispy noodles are not too bad if shared between 4.